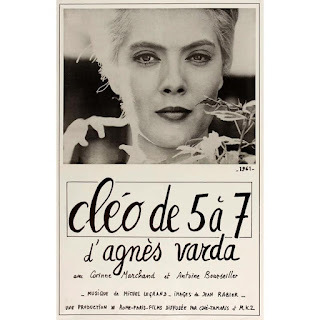 CLEO FROM 5 TO 7 (1962) on Monday the 9th of July at Coast, from the doyenne of the French New Wave, Agnes Varda. With stunning cinematography and an evocative soundtrack by the great Michel Legrand (Umbrellas of Cherbourg / The Young Girls of Rochefort) this film offers more than a glimpse into the chic world of 1960s Paris highlife. We follow Cleo, a successful pop star whose glitzy lifestyle is flipped on its head when she becomes increasingly worried that she might have cancer, and awaits test results from her doctor. The film not only uses the brushstrokes of Cinéma Vérité, but also delves deep into existential exploration as Cleo faces her own mortality and place in the world. By doing so she transforms from the shallow object of men’s desire to the brazen lone woman who inverts the male gaze upon itself. Subtle in its layering of multiple meanings, and its commentary on women in French society, CLEO FROM 5 TO 7 is a true gem of the French New Wave cinema and not to be missed! CLEO FROM 5 TO 7 was nominated for Palme d’or at the 1962 Cannes festival and won Best Film award at the French Syndicate of Cinema Critics in 1963. Doors open at 7.30pm, film starts at 8. The film is free to Worthing Film Club members (£25 a year - email Caroline at worthingfilmclub@gmail.com to join) or £4 for a ticket, which will be available on the door at Coast.